I feel myself pulled in many directions lately. I've been nesting...hibernating...I don't know what you call it but I've been sticking close to home. This summer after our ladies weekend away I ended up smoking again and did all summer. I felt the need to give it up. Most of the ladies in my circle smoke as well, so I've been avoiding the social side of things for a good month. More and more I'm being pulled in the direction of writing. The problem is that I struggle with this, finding the time and energy to actually sit down and write and what do I write about? So I'm really want to work on that. Quilting has really become a passion for me and I'm very happy with that but also time constraints are the worst. I've taken a short computer course at the local college. It is helping me go in the design direction I want to go in. Small steps. I'm really focused on being Mom right now and supporting my family by being there. I feel like it's important always and sometimes I neglect my time with the boys being doing my thing. 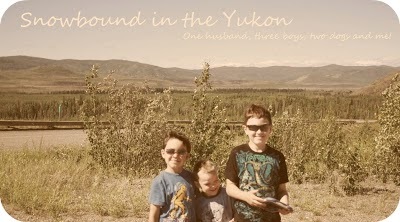 My boys are high energy and the introvert in me likes my down time. I've learned my lesson long ago to avoid or limit my time with energy suckers. So doing physical activity with the boys is a huge thing for use, walking each night. It also benefits our pooch. She's also high energy. We've been dong a lot of from scratch cooking and I've been making bread and baked goods for my boys. Getting good nutrition is awesome for them. My honey and I have been closer than ever, really connecting on an intimate and intellectual level. All this time at home has really been beneficial for all of us.